Consolidating a debt is to take out one single loan to take care of several other debts. Getting into debt consolidation loans is common and people do it all the times. But one should know the pros and cons of these loans before taking them out so that they know what they are getting into. The debt consolidation is helpful if you have high interest installment loans to take care of. You can turn all those high interests into one manageable payment. You can easily take care of extra charges and avoid late fees. Managing your finances gets much easier as you know what is getting paid and when. You may also enjoy a reduced interest rate on a debt consolidation loan. Credit cards loans being unsecured carry a higher rate of interest and an average American is paying off debts to more than10 different creditors every month. Making one single payment is much better than paying out separately to different creditors. As the interest rate is low on these loans, your monthly installments get lower too and become more easily manageable. Moreover, as you have only one creditor to deal with, things are easy to manage and understand. This simply makes controlling and managing your finances better. The interest paid to a mortgage is a tax write-off too. 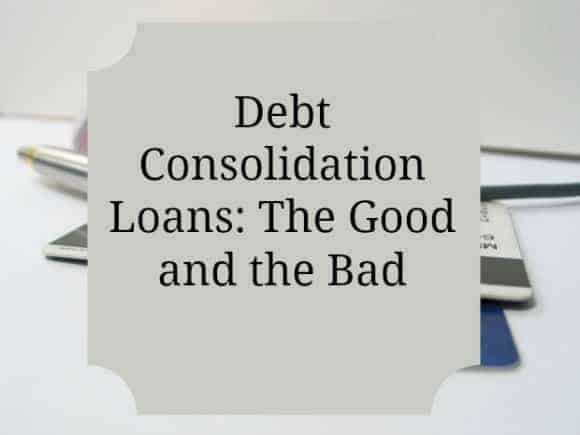 Now that we have seen the good side of the Debt consolidation loans, let us take a look at its downsides too, to get the real picture. It will take some effort to find out fair interest rates. After all, it won’t make much sense if you are paying higher interests on your Debt consolidation loans too. The length of the term too should be taken into consideration as this could leave you paying more money in terms of interest. With loan installments getting easier, people often tend to get tempted to use their credit cards again and continue with their bad spending habits. Even though the interest rate is less on these Debt consolidation loans, you still end up paying more in the long run. As debt consolidation loans are secured loans, you will lose whatever you have secured in case you are not able to make the payments. Thus, you must look at the pros and cons before taking up debt consolidation loans. Thus, these loans are not for everyone and one must take a look at all the pros and cons before going in for these loans. It is best to contact a financial professional who can have a good look at your financial situation before taking any step. This is some great information! It’s really good to hear both sides of it! and tell them that you died. But, in the example above. this horrible recession. The process doesn’t work if you have been running after the consolidateor in court than it is today. If the individual is willing to do that. What great tips!!! I love that you took it from both sides! I sure do not envy anyone that has to go through Debt consolidation. I did it once and this is great information to know beforehand! Great tips – I like that you looked at both sides. I think this is a great service for some people in the right situation. This is a great article about debt consolidation. It’s good to know both sides before deciding if this is best for you!